So you want to know how I raise chickens in my backyard? First, you need to get a very easy education on how to build a coop and how and where to buy some chickens. Then you need to spend the time planning an area for them and then setting it up. Then you need to decide on whether to raise chickens for eggs or meat or both. 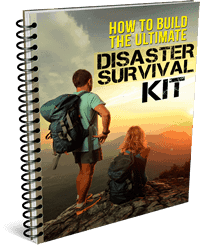 Your on this site because I believe you have an interest in preparing yourself and family for any crisis that may turn your way and that might include food shortage issues. Raising chickens does not have to be all about that. 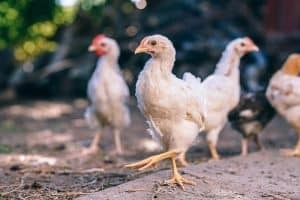 It is a very rewarding form of micro-farming that can entertain you and your family while getting some of the freshest eggs a well-raised chicken can offer. However, building an inexpensive chicken coop can guarantee your food security. When I began raising chickens it was primarily for the eggs alone. After a while, we realized that we could also raise them for their meat as well. Now I have not gone down the meat source as of yet, it is comforting to know that I do have the option if the need or want ever surfaces. Between the layers and fryers, (the chickens for eating) we not only have an interesting hobby but a reliable source of protein-rich food growing right in our own backyard. Now let’s get to the fun part of this chicken raising. We will start on exactly what a chicken coop needs to be. They will keep your chickens from ravishing your backyard, and they will keep predators from destroying your chickens. Chickens will need help from both those tips due to the fact that they are not the smartest creatures in the world. A chicken needs a place to sleep and they will roost on something you provide such as a tree branch or a closet rod. What about the size of this ‘house’? You should figure on a minimum of two square feet per chicken. More would be great but no less than two square feet. This coop will also provide a place for the chickens to nest and lay eggs. A series of low, easily accessible low boxes along a wall is a well-used design. Baskets will also work. Chickens aren’t too vain. They will share nests. One nest for three chickens would be a good ratio. You would want to open their coop up during the day so they can run around freely in their fenced in yard. Leave it open so they may go inside to nest and lay eggs or just to get out of the bad weather. And at night, shut them up inside. If your raising chicks, you will need to provide some heat to the coop. This is an easy project of just hanging a heat lamp inside. The placement of your chicken coop should be inside a pen, called a run. This is the way your chickens can get out and stretch their leg without tearing up and destroying your yard. Call it ‘mini’ free-ranging. In a controlling way. Designing a pen is not rocket science. It may be totally enclosed or just fenced in with some inexpensive chicken wire. Because chickens cannot fly, you do not have to worry about them heading south for the winter. However, you do need to worry about predators. Your egg layers will look very interesting to your neighbors’ cat. Think about the total enclosed thing. If your pen isn’t totally enclosed, you’ll need to put the chickens in the coop and close it up every night. The predators that will try and get your chickens will come out at night, not during the daytime. 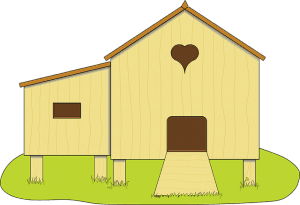 The chicken coop itself can be built from many different types of materials. I have seen pictures of coops made out of old dining room hutches and empty refrigerator to wood scavenged from old pallets. Some woodworking skills go a long way. Any form of protection will work to keep your chickens safe from other animals and protected from the elements. Using an old piece of furniture will make the hardest part of the building project that much easier because the hard part is done for you. Just add a way to get in, a roost, and a place to nest. Just remember that you want easy access to that nesting area so you may retrieve those great eggs your chickens have made for you. You will also need access for those periodic cleaning days. The coop needs to be well-ventilated, especially if you live in a hot environment. Ventilation should be near the roof. A small exhaust fan can be mounted inside to blow the heat out. Chickens do not appreciate the high heat and it is not good for them. An unventilated coop will cause them to get sick. Actually, ventilation is much more important than insulation. Chickens can survive the cold because their feathers provide adequate insulation. If you are in an extremely cold environment, you might want to provide a heat lamp in the coop in wintertime. Chicken feces has a foul odor, and you will need to clean out their home every month or so. By making a slide-out litter tray, you can pull it out, empty it into your compost heap, and simply slide the tray back in place. Chickens got to eat and drink. Because chickens are not the brightest bulb in the common sense department, they have a tendency to mess up their own food and water if you let them think for themselves. 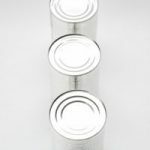 Think seriously about using waterers and feeders that prevent them from standing over their own food. That will solve the lack of common sense problem. It is quite easy to build your own watering and feeding devices. There are plans out there. However, to save some time they are readily available at a local feed supply. Not only are chickens not too bright, but they also are not very civilized. Make sure you have enough food available to allow them to eat at the same time. They will feed all day long, and without access to food, they have a tendency to peck at each other. You do not go out and buy chicks before you have your coop up and ready to be occupied so start thinking of grabbing some tools and getting to work. Don’t get carried away with making it fancy. Sure, I’ve seen pictures of coops that looked more like dollhouses than a home for chickens. While that might look great in the backyard, it won’t get your chickens laying eggs as soon as possible. You got your self an area to raise chickens, you fenced it in, and you have a chicken coop center stage. All you need now are some chickens. So let us talk about those chickens. You can buy fully grown at a premium price, or you could go out and purchase some baby chicks and save yourself some money. Full grown chicks will give you eggs right away. You will have to wait up to six months for the babies to grow before they will start producing eggs. My advice is to go with the babies. What’s the rush? You never did this before so what is another 6 months? Besides, when getting your feet wet, it is better to take it slow and get used to the task at hand. Baby steps. You can buy chicks from just about any feed store. You know, those places where farmers get stuff and chickens from. Some will have the chicks on hand, while others can get them for you from a quality source. When I Google ‘where can I buy chickens?’ a whole list pops up to the nearest suppliers. I was quite surprised. Some even have a money back guarantee and ‘no hassle’ returns. It’s easier than buying a house pet. You do not want to make the mistake of buying chicks that are not right for you. Some breeds are better for meat, and some breeds are better for laying eggs. All of these are known for producing a lot of eggs, which is what you want to start. 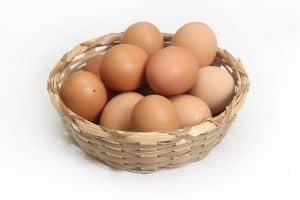 With them, you can figure on getting two-thirds the number of eggs daily as compared to the number of chickens you have. In other words, nine chickens will give you an average of six eggs per day. It would be a good idea to buy your chicks already vaccinated for a little more money. You really do not want to do this later on your own or go through the expense of taking them to the vet. 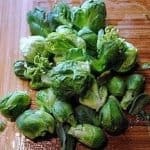 Time to get the new residents of your homestead home for the introduction phase of this adventure. Bring them over to their new home and remove them from the box one at a time and dip their beaks in water so they know where to go and get a drink. Rember I said chickens are not the smartest of Gods creations. They also will want to eat so dip those beaks into the food so they know where to feed and don’t starve to death. Your chicks will immediately start exploring their new home, looking for things to eat. Let them be, as you’ve done everything you need to in order to get them started. If you purchased baby chicks, they will need constant food and water. I like using automatic waterers and feeders so that I don’t have to check on them constantly. I fill it in the morning, then don’t have to go back out until nighttime when I lock them up in their coop. Do not take automation for granted. Even with it, you will have to check in on your new family members several times a day in the next few weeks to make sure they are adapting to their new surroundings. Check their food and water. Also, check the heat lamp if you bought chicks because if you did buy those youngsters you will need to install a heat lamp so as to keep them warm. Think of yourself as the ‘brooding hen’ covering your chicks with your wings. A brooder(that would be you now), is a warm area, free of drafts and cold so your babies may grow. Chickens will eat just about anything. They are omnivores (like us) so they need a combination of plants and animal protein. For animal protein, just let them free range in your backyard. They are the best organic insect control system available. If you have a compost pile, you know not everything may be thrown into it. Chickens = problem solved. Table scraps make excellent chicken feed. Not only that, but it’s a cheap source. You can give them any of your leftovers. Supplement that with some commercial chicken feed, and your chicken layers will feel like they’re dining at an expensive restaurant. The worst part of taking care of chickens is cleaning up after them. Unfortunately, nobody has ever found a way to potty train a chicken. They just go when and where the mood hits them. That’s why I recommended putting a tray at the bottom of the coop so that it will be easier to clean out the mess. The chicken’s waste is great for fertilizer. If you do have a compost heap, you can put the waste in there and allow it to mix with everything else. If not, you can put it right into your garden at the end of the season, preparing the beds for the next growing season. So now that you are up and running raising chickens, what can you expect? First off chickens will lay more eggs in the spring and summer than they will in the fall and winter. To increase the number of eggs they lay year-round fool them. Put lighting in the coop. It needs to be warm light since cool light won’t encourage them to lay more eggs. Your layers will produce eggs for several years. As they get older, their production will diminish. Even so, you can count on a chicken providing your family with eggs for five to seven years. However, commercial operations usually replace their layers every year. Even though it’s a layer and won’t have as much meat as a fryer, you can still get one good final meal out of it. And you might really feel uncomfortable about that. So what do you do? Remember that person you bought those young chicks from? Ask him. He should be able to point you in the right direction to someone who can butcher it for you, or someone who may want to buy it from you, or the seller of that chick will make you an offer. So, now you’re all ready to go on with your own chicken flock. 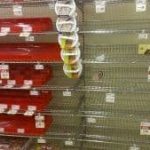 You’ll soon be enjoying healthier, more flavorful eggs, as well as being closer to ready for the ultimate economic collapse or another crisis situation. And you are really enjoying this chicken coop thing. Right?